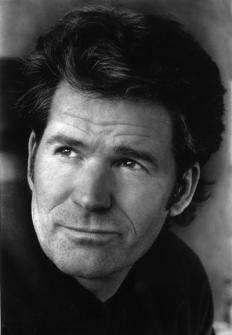 The Friends of the Dennis Public Library are very fortunate to have the illustrious Andre Dubus III as the featured guest at this month's Author's Friday Special fundraiser at the Sea View Restaurant at 76 Chase Ave. in Dennisport. A product of an famous literary family, Andre has written five novels, including The House of Sand and Fog, which was a huge bestseller that was later adapted into an Academy-nominated motion picture starring Ben Kingsley. His powerful memoir Townie was #4 on the NYT Bestseller List and earned Andre rave reviews and a Guggenheim Fellowship. Currently, Andre is at work on the screenplay which will be based on his life story as told in Townie. Laymen and fellow authors alike describe Andre Dubus III as "inspirational" and "eloquent" with a "great sense of humor." Of course, the main reason people flock to an Andre Dubus III personal appearance is his incredible life story. Essentially left to fend for himself by his father at a very young age, Andre grew up in the drug and crime infested mill towns along the Merrimack River where he quickly had to learn how to defend himself. He struggled to become a writer by supporting himself working night jobs as a bartender, office cleaner, halfway house counselor, and even bounty hunter. Today he is married with three children, teaches writing at UMass Lowell, is about to release his sixth novel, while adapting Townie to a screenplay, and is in great demand at a guest speaker and presenter. Tickets may be purchased at the Library or by mail; $25 each in advance or $30 at door.